The exponential growth of performing and non-performing loan transactions during the last two decades has generated amazing benefits for both banks as sellers and investors as buyers across the boundaries. 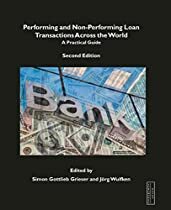 Fully updated for 2014, and with the contribution from 34 practitioners, this second edition provides the reader with the principles of arranging, servicing, financing and exit strategies of performing and non-performing loans. The reader will have access to 12 country reports.With the beginning of the global credit crisis in 2008 a lot of investors were caught by the turmoil in the financial markets. Banks were focusing on surviving and keeping their banks operating. As a consequence of the financial crisis the volume of non-performing loans on banks´ balance sheets has increased and large volumes of non-core loans have been identified as a result of the banks´ restructuring efforts in the wake of the financial crisis. Furthermore, banks as market participants in primary and secondary markets have been regularly replaced by funds and restructurings often have many more stakeholders at the table than they did before the credit crisis. Therefore, the transaction landscape has changed significantly compared to the pre-crisis years. Besides this, the mentality in the market has changed as well. Since 2007-2008 the sale of non-performing loans is not seen anymore as something that will harm the banks´ reputation. It is now an usual and practical instrument for banks to clean up their balance sheets and to pass on defaulted loans to specialized investors.